 the cottage gals: Happy Father's Day! Hope your weekend's going well and you've been able to find that perfect something for your Dad, for his big day tomorrow. And when you're done, check out the update I just did to our on-line store. Much overdue I might add. Here's a little peek . . . I'm in love with your store! I love everything in it! Hope you don't mind but I added you to my favorites? My husband sure is lucky that I don't live closer to your store but I'm disappointed. P.S. Stop by and visit some time. I hope you don't mind but I posted a comment on my blog about your store and added a link to it. I enjoyed it so much I thought I would share it with the ladies that visit my blog! I LOVED LOOKING AT YOUR BLOG AND SEEING ALL THE CHARMING GOODIES IN YOUR SHOP. SO LOVELY! !